I'm not a very visual person. I love to write snappy dialog, and I'm not a fan of describing things. (It must be done sometimes. But I like to use a light touch.) However, marketing is a visual enterprise. And one day, out of the blue, the perfect image for the themes of The Year We Fell Down just came to me. 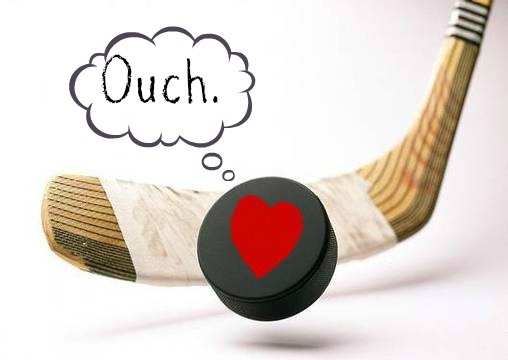 A hockey stick... a puck with a tender heart... It's this.